This letter details Mrs. William Howard Smith sending an undisclosed amount of money along with congratulating Martha Berry on the success of the Berry Schools. 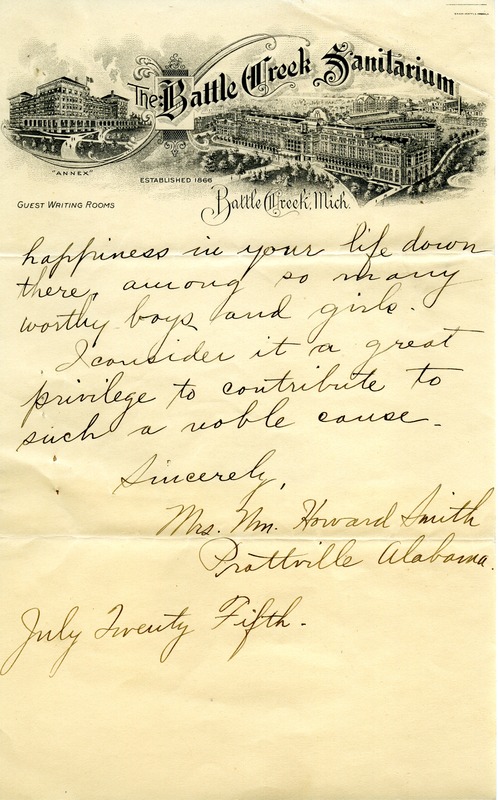 Mrs. William Howard Smith, “Donation letter from Mrs. William Howard Smith.” Martha Berry Digital Archive. Eds. Schlitz, Stephanie A., Jordan Brannen, Meg Ratliff, et al. 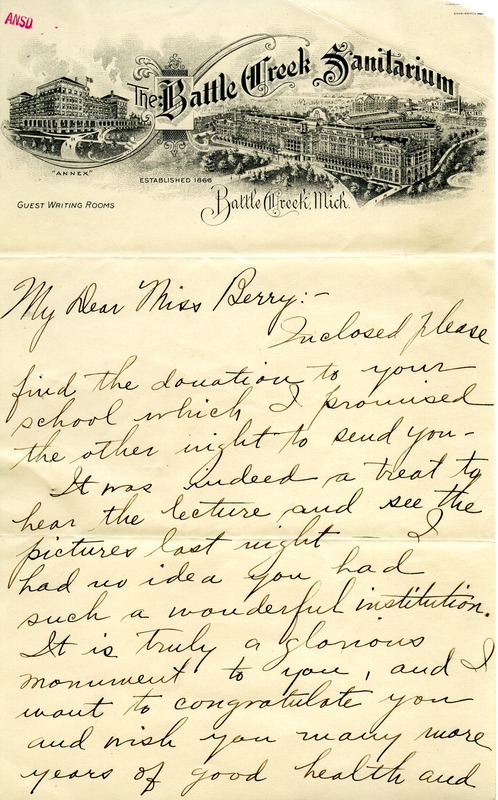 Mount Berry: Berry College, 2014. accessed April 22, 2019, https://mbda.berry.edu/items/show/13926.